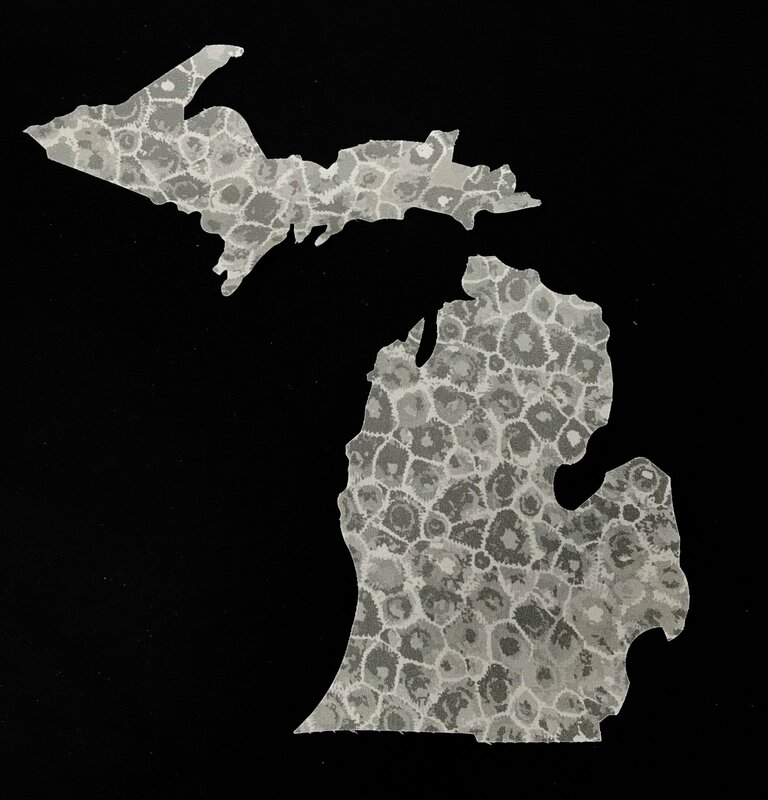 This is the larger version of the cut-out of the state of Michigan. It is made from Hearts to Holly's exclusive Petoskey Stone Fabric with Fusible Webbing on the back. Just peel off, place on your project and iron in place. Embrodery or Stitch around the edge for accentuation. Use for embellishments on shirts, pillows, mug rugs, placemats, hats, quilt blocks, wall hangings ...etc. Approximate size UP= 4" x 7 3/4"; LP= 5 1/2" x 7 1/4"